Tractors waiting for that loving touch. A Farmall Super A and a Farmall 140 sit under an open shed waiting for someone to bring them back to life. They will need hundreds if not thousands of hours of dedicated, skilled hands working to get them back to their original sassy red glory. The Farmall Super A worked this 30+ acre farm. A new, enormous tractor now sprays, makes rows, and plants in one sweep, using a fraction of the time required by the small, one-row tractors. Several folks are pining to get their hands on these, but the owner is not quite ready to give them up. 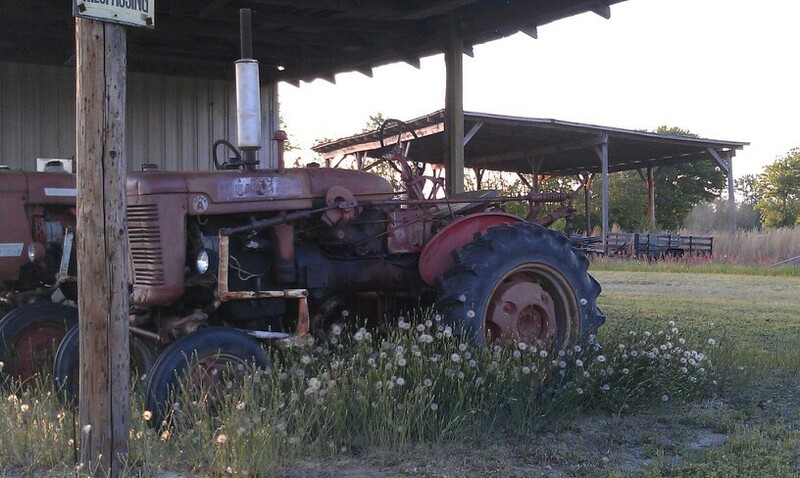 Tractors hold sentimental value to those who know their story. Sitting exposed to the harsh summer sun, wind, and rain, these tractors may end up unsalvageable.